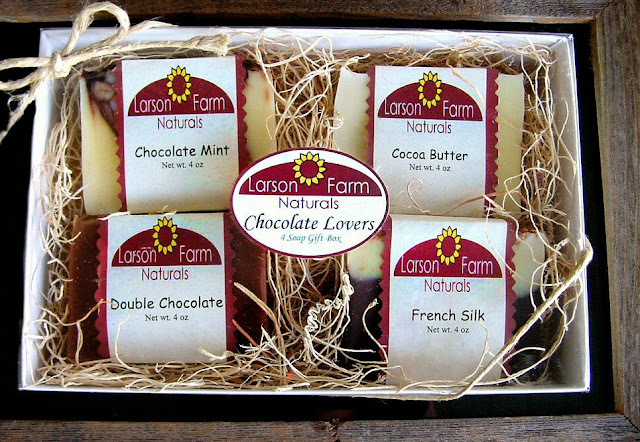 I don't even remember when I first visited the Larson Farm Naturals blog but it is more important that I remember the cozy and warm feeling that its writer Debbie managed to create through mellow words and bright photos. That is why today, in A Portrait of The Artist, I would love to present Debbie - a mother of 4 and a farm wife living in the rolling hills of SW Iowa in a century old farmhouse. 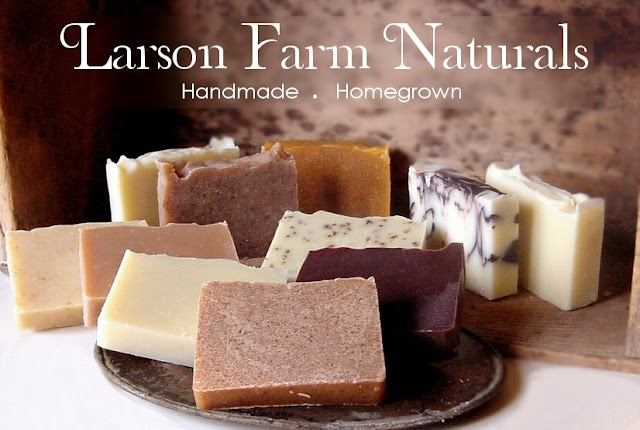 In her strive to help make her family more self-sufficient Debbie has learned quite a few things through the years, one of which - making soaps - she has turned into a successful eco-friendly business. You have some amazing advice for green living on your blog. Going through its pages it quickly becomes obvious that you know a lot about living a sustainable life. 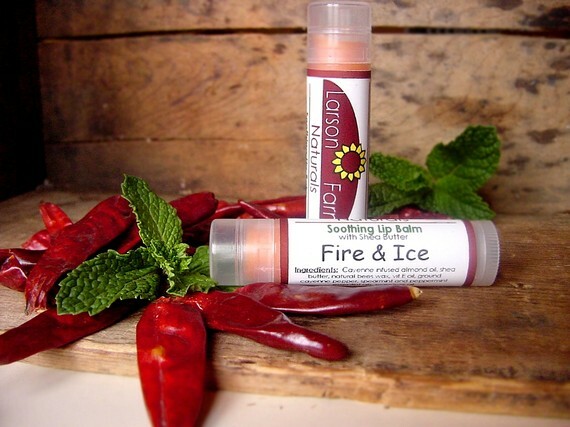 How did you learn to make soaps and lip balms? I get asked that question a lot. I mean, how many people make soap, right? I have always loved to learn how to make things, especially things that are useful and not just a pretty decoration. And if I didn’t have someone to teach me I would figure it out on my own. Reading books and the Internet were my main resources for learning soap. It was through them that I found some recipes and then went to work. It took me about a year to get up the courage to try though. The lye thing scared me! I found out quickly that it wasn’t hard and not scary at all. After my first few batches I knew I was hooked on this soap thing! I started searching the house for natural additives like herbs, spices, flowers and vegetables. After my first batch of sweet honeyed carrot I knew I was on to something. I loved coloring and scenting with all natural ingredients! My research also showed these added some wonderful skin benefits as well. The lip balms were an easy step after that. I already had all the ingredients as they are the same oils and butters that are in the soaps. When did you decide to turn your passion into a business? Anyone who knows me has seen me work at my own business for years. I think my first “business” was when I was a child. A neighbor friend and I would take flower petals and glue them onto rocks. We would then pester our other neighbors into buying our creations! It was probably then that I realized that I love to sell things that I made with my own two hands. My husband and I have 4 children so I began to look for ways to make some extra money and still be at home for our family. I did a little of this and that. I even took an early morning paper route when I was pregnant with our third child. About that same time I started selling some of my handmade clothing and crochet items on ebay. It was with that I learned a lot about online selling. And I am still learning! So when I started making soap I saw right away that I could try to make a business out of it. So about a year ago “Larson Farm Naturals” was born and I am loving it! What is the thing you like most about selling your products on the Internet? There is just something about people from all over the world seeing my products that I make with my own two hands. And when they decide that it is worth their money, WOW! I get a high every time I sell something. My kids love to hear where my things are going, especially when they go to other countries. I have become cyber friends with people from all over. Each of them brought a new perspective to my business, my life, or both. When did you first feel the need to be eco-friendly and sustainable? Was it a conscious decision or you were following your family traditions? I’d say it is a mix. I grew up in a small farming community, my dad was a farmer and my mom stayed at home with me and my sisters. Money was tight back in the 80’s for farm families, so most families lived pretty simple. Although recycling wasn’t even a word yet, we reused things everyday just out of common sense. My grandmother taught me many things as well. Crocheting, gardening, raising chickens, your average farm wife wisdom. In a way we were already being eco-friendly and sustainable. A few life changing things happened for me in the early 2000’s. Our first child was born, 9/11 happened, and the economy was growing more fragile. My anxiety over taking care of our family was growing. What if I couldn’t get gas to drive the 20-40 miles to get to the nearest stores? What would happen if food and other necessities would sky rocket in price? So I made it my goal to learn things that would make my family more self-sufficient. I wanted to learn things that would reduce our time and expense of traveling and our dependency on big chain stores for our needs. 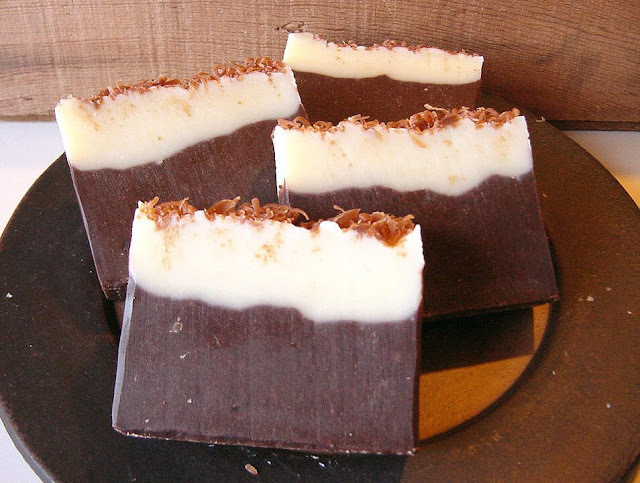 learn to make soap, and so on. I am happy to say that I have learned all of those and more. I have to put in here about one of my favorite books on this subject . It is a book called “The Encylcopedia of Country Living” by Carla Emery. A wonderful, wonderful book for anyone wanting to learn the ultimate eco-friendly lifestyle. So even though I went into the eco-friendly and sustainable lifestyle kind of backwards, I still arrived there one step at a time. I am proud to say that I did and I will be handing this lifestyle on to my children. You say in your etsy profile that you have a passion for anything natural, organic and green. Please, take us to a normal day at your home! OH MY! A day in our home We don’t have the perfect eco-friendly house by any means, but we do try. We are first and foremost a farm family. With many of the farm chores you might think of. Our day starts pretty early around here, this type of lifestyle isn’t fast paced and convenient. We have many animals to take care of, furry and otherwise. I try to cook from scratch as much as possible. And with 6 people in our family a lot of our day centers around food. Food is a BIG factor in my passion for this lifestyle. I think clean and fresh foods are the best starting block we can give our children. Almost all of our veggies are from our organic garden. A lot of time in the summer is spent taking care of the garden and canning foods. Our crazy but happy chickens give us our eggs. I say crazy because they are free range. They free range all over our porch, sheds, diveway… it leads to a lot of extra clean up if you know what I mean! We raise meat chickens in the summer. The whole family helps take care of them straight up to butchering day. I love that most of our food comes from right here within a few miles of our home. We try to recycle as much as possible, whether it be taking it to the recycle bins in town or reusing things here at home. We have no trash service here out in the country so we have to be very careful what ends up in our trash bags. All food scraps go to the animals, or into the garden for fertilizer. Cleaning is another big part of our day. Lots of clothes, dishes and kids to wash! I love my soaps for all of this. I don’t think I have bought paper towels or napkins for the house in years. I use old rags for cleaning and cloth napkins for the table. The only paper item in our house (besides actual paper) is toilet paper, and I am just not going to go that far. HA! Many days a week brings some sort of the kids' activities to go to. But one of the rules at our house is something very simple. We try to stay home as much as possible. We try to make the fun times from things here at home. Fishing, camping, horseback riding, or just plain spending time with each other replaces trips away from home for our entertainment. There are still wonderful things to go see and do, we just try not to make it a habit anymore. The end of a perfect day would be some porch sitting with my husband while watching the kids play in the yard. Simple and real. 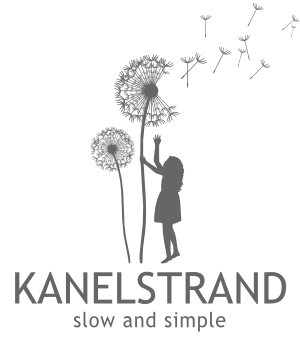 We are loving sustainable families at Kanelstrand Organic Living! Do you remember the beginning of your sustainable journey? One of my first attempts at sustainable living was learning how to make (and use!) cloth diapers and wipes. Like I said before, I was tired of being so dependent on disposable things and diapers were a MAJOR dependency for us! I found cloth diapers on the internet, but they were terribly expensive. I found some cheaper ones that were handmade, but that was a joke. Come to find out she used shower curtains to line the diapers and none of them were sewn correctly. So I found some patterns, learned what fabrics to use and went to work. I LOVED using the diapers I made. Soft and clean fabrics for my babies each time. Diaper rashes were no more! I tried to convert a few of my friends, they thought I was nuts! They still think I am a bit nuts for some of the things I do, but I don’t mind, it’s just who I am. I have a plan to take it slow. We have 4 kids under age 11 and I feel my most important role is mother right now. School activities, sports, and 4-H take up many after school hours. As well as being my husband’s right hand “woman” with a lot of the farm work during my days. I would love for business to be strong and steady over the years. I would like to have my products in more shops in the area as I have a few now and it seems to be an easy selling point. I do plan on adding a few more items like lotions and balms in the next year. Kootsacs - I just love the idea of using things over and over and over! I have yet to actually purchase her things. But I have a dream of looking into my pantry and seeing color coordinated bags full of oatmeal, flour, rice and so on. PulpArt -one of the first shops I favorited. I have always thought recycled paper just looks cool. And the fact that there are seeds in the paper make it the ultimate in recycling! great interview! i enjoyed reading it immensely, and i would like to experience living in a farm and be a back-to-basics girl. And that farm....looks like a little piece of heaven! such a great interview ~ love the product packaging! Great interview...her blog is wonderful too! Off to check out her shop...those soaps look amazing!! Great interview. Her soaps look wonderful. I totally relate with her love of living the simple life. Very nice interview .. her soaps look wonderful! Wonderful interview! I enjoyed reading about Debbie, her business, family, and life on the farm. Her soaps look amazing. That chocolate soap looks AMAZING! Thanks for sharing this wonderful interview. It's great to learn about other artists who make a commitment to respecting the environment in their practices. Sounds like an amazing life! fabulous interveiw and what lovely soaps and all!! Your soap looks good enough to eat!